Bring back MySpace! Okay how ridiculous does that sound? Remember MySpace? I don’t know about you but I embraced MySpace wholeheartedly. I blogged at MySpace, I reconnected with my old friends from high school, I made new friends, discovered new music, decorated my page to be all sparkly and pretty and I resisted Facebook. I resisted Facebook like a cat sliding down a curtain with its claws out. I did not want to change, I did not want a new social network, I was happy with MySpace, why did we need to change? I reluctantly opened a Facebook account because my teeny bopper daughters wanted to be on Facebook and the deal was, the only way you can be on Facebook is if I am your friend on Facebook. So, I joined Facebook as a “responsible parent” move. Then of course, I got hooked. I was managing both MySpace and Facebook and slowly my MySpace friends trickled in to the Facebook scene. Facebook started suggesting friends and a whole new world of old friends reappeared in my life. Reconnection was fun! At the time, I had a Virtual Assistant business that I was somewhat bored with so I morphed it in to a marketing business and started teaching entrepreneurs how to use Facebook and preaching the benefits of it for business. Can someone please tell me why Facebook is so popular these days? I resisted going over to Facebook because frankly it was not a priority in my life… but I finally folded under social pressure and headed over there. Everyone swears it is so much easier and more intuitive than Myspace… I’m not seeing it that way. But I do see that a lot of serious business owners are using Facebook. For now, I will continue with both. I still like Myspace better… so if you are like me and are on both Myspace and Facebook feel free to be my friend over on Facebook too. Then came Twitter and as many of you know I got a little obsessed. I love Twitter and the people on Twitter. Twitter is the ultimate social network, it’s actually social at least my crowd is. Twitter introduced me to people (strangers) with similar interests who are now some of my best irl = “in-real-life” friends. I love Twitter and I am very loyal to Twitter but I also know in the world of technology – CHANGE is the reality. Ever since my MySpace world evaporated I’ve always kept it in the back of my mind how very likely it is that someday Facebook and (gasp!) even Twitter may go away. This does not mean I want them to go away, it’s just life in the modern world. Fast forward to Google+. Just like when Facebook arrived on the scene I resisted it. The main reason is TIME – I don’t have time for another social network. Then the “why would I want to go to another social network when all of my friends are already on this one” factor. 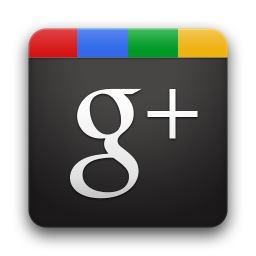 Finally, I personally did not find G+ to be intuitive or user friendly so I resisted, I complained, I made fun of it. I did exactly what I did 4 years ago. I also found the original Google+ community, the one’s who like to call themselves “early adopters” to have an attitude. G+ was getting defined as the intellectual network, the content driven one where people put important smart stuff. I actually felt pressured to only post smart, intellectual things. The first handful of people in my G+ stream seemed to be competing to who could post the most intellectual crap. I’m so over intellectuals – stopped being impressed with them about when I graduated from college. Don’t get me wrong, I admire smart people, I just don’t admire people who like to tell me they are smart. As silly as this video is it reminded me of my MySpace stubbornness and also opened my eyes to some of the cool features of G+. Then last weekend I had something I rarely have these days. I had TIME! I had some down time where I didn’t have to do anything so I spent some time getting to know Google+. Up until this weekend I kept thinking and saying G+ is boring and nothing is happening over there. I then had the realization that Nothing is going to happen on G+ unless I do something on it. I was just sitting around waiting for everyone else to do something. Duh everyone else was doing the same thing! So I started doing things on G+ and guess what? People started responding. I still love Twitter, and Facebook is just fine but here are a few things I’ve discovered about G+ that I like. Circles – I can easily divide people in to groups. I can have friends, coworkers, family, strangers, etc. This means I can look at updates by groups and I can also post to selective groups. If I want to post something personal like a picture of my kids and I don’t want my coworkers, strangers and others seeing the pic, I can set that post to just show to my family circle and they are the only ones who see it. G+ also could come in handy for coordinating things such as carpools. Last night on Twitter a group of us were trying to coordinate carpools for our upcoming TweetUp. We must have exchanged 20+ tweets to do this most likely boring the heck out of our followers and in the process getting somewhat confused on who was doing what. If we would have had the same discussion on G+ we could have done it in 1 thread and only those involved would have seen the thread, we wouldn’t have had to bore the rest of the world with our logistics. By the way… Tom, (you know the founder of MySpace) thinks G+ is going to succeed. ← My Car is Pretty Again! Okay, makes total sense and I love your “early resister” tag. Since I was busy in the self publishing world, missed the MySpace era, found Facebook gag-worthy, and fell head over heels with Twitter, I was actually looking for the eventual replacement to Facebook. Not at all sure Google+ has that role, and maybe I don’t want it to, but for me, it was also love at first sight. The circles! The circles! Although I didn’t know anyone who was doing the “intellectual competition,” I found that people who hopped over and wanted to share on Google+ to be, well, I could call them “social media veterans.” They understood why they were there and were prepared to share on a certain level which just never happened on Facebook. Like Twitter, only longer. Sort of. This particular group I’m now engaging on Google+ was also sharing on Twitter on a deeper level, which I call “the deep end of social media.” Lots of us had realized that we weren’t benefiting from trying to interact with so many people if we couldn’t deepen the conversation. That’s what we’re trying to do now.